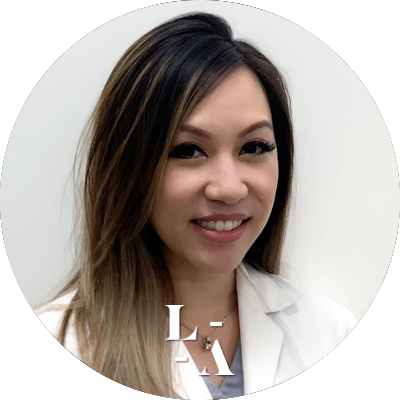 Linda Nguyen is a board-certified Physician Assistant, specializing in Aesthetic Dermatology. She oversees the Northern California South Bay regions including the Palo Alto, Mountain View, San Jose and Los Gatos locations. Since 2013 Linda has had the privilege of working with the leading aesthetic dermatology group in the nation, Laseraway, and is enthusiastic about learning and training medical staff on the latest technological advances and procedures in this specialty. She completed her undergraduate degree at the University of California at Davis, with a Bachelors of Science in Human Development. She worked as a cosmetic surgical assistant doing SmartLipo before starting her Physician Assistant program at the Riverside County Regional Medical Center/Moreno Valley College. Linda went on to complete her Masters in Medical Science at Saint Francis University.